&apos;Que fans, rejoice. Whether you like yours spicy, mild, on-the-bun, off-the-bun, the way your Nana use to make it, or with gourmet blueberry and lavender sauce, you&apos;ll have more barbeque sampling options than you can handle. If you&apos;re serious about barbeque, these are your people, and they&apos;re not just here to chat and snack – they&apos;re here to win. The Bush&apos;s Best Tennessee State Championship Competition is actually sanctioned by the Kansas City Barbeque Society, so expect fierce competition as barbeque cook teams from all across the United States converge to show off their best recipes. In Tennessee, nothing goes better with barbeque than mountain music. 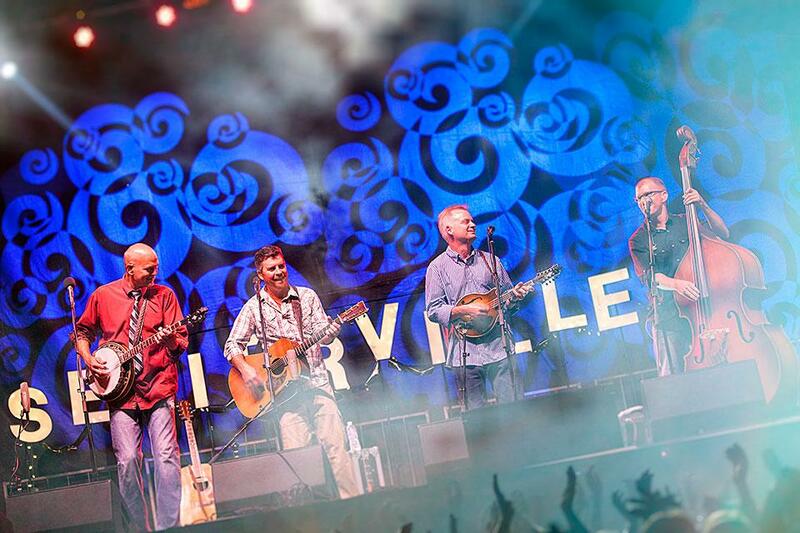 Visit the Sound Biscuit Productions stage where you can enjoy local bluegrass bands, traditional fiddlers, live music video tapings, and favorite acts like headliner the Nitty Gritty Dirt Band. You won&apos;t want to miss the Mountain Soul Vocal Competition, honoring the songwriting talent of Sevierville&apos;s hometown girl, Dolly Parton. Early this year singers from all over the country submitted their covers of Parton&apos;s songs and finalists will perform on stage on Saturday. The entertainment lineup includes Michael Cleveland & Flamekeeper, Balsam Range, Mountain Ruckus (presented by Dolly Parton&apos;s Stampede), Love Canon, Phil Leadbetter & the All-stars of Bluegrass and more. It&apos;s a scientific fact that shopping burns calories. Take a walk through the Arts & Crafts tents for a wide selection of regional creations by local craftspeople. You&apos;ll go home with a handmade souvenir that will remind you of a great weekend. Kids of all ages will find lots to do at the Kids&apos; Zone. Everyone enjoys playing old-fashioned games at Days Gone By and trying out musical instruments such as banjos, fiddles and more at the Bluegrass Music Tent. A lively romp in a bounce house is a good choice for little people hopped up on festival food. Or the kids can enjoy their face paintings all day long. 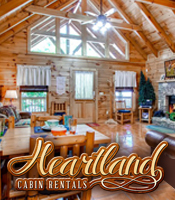 Sevierville has plenty of hotels and condos for rent, but for the true Smokies experience you&apos;ll need a log cabin, a mountain view, a grill and a rocking chair. For families or groups, accommodations with kitchens, kitchenettes or grills are a great way to save money and get some additional space. Plus that brats, burgers and hot dogs cooked outside in the mountain air are bound to taste better. 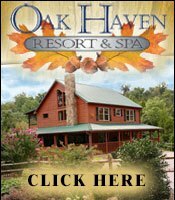 A good choice is Oak Haven Resort & Spa, just 10 minutes from the festival grounds. In between sandwiches and jam sessions, you&apos;ll find that Sevierville has lots of other unique activities worth checking out. Stop in the popular Rainforest Adventures Discovery Zoo or climb, zip or swing from tree to tree at the eco-friendly Tree Tops Ropes Course. For the ultimate memory-making experience, take a ride with Sevier County Choppers Helicopter Tours. They offer a short 4-mile tour for those who aren&apos;t sure they like helicopters, but go ahead and book the 180-mile tour of the mountains, lakes and foothills. Once you see the view, you won&apos;t want to come down. Of course, don&apos;t underestimate how wildly entertaining it is to sit in a rocking chair doing nothing at all. May in Tennessee is heaven. Early risers enjoy crisp mountain air, but by noon everyone has peeled down to shorts and t-shirts. Sevierville has a hometown feeling, so be comfortable. (And barbeque-colored t-shirts are always a smart choice.) There are plenty of amazing hiking trails for all levels of hikers, so consider bringing hiking boots or sturdy all-terrain tennis shoes. 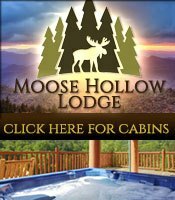 Some hotels have festival specials so be sure to ask wherever you book. You can also download the Sevierville Coupon Book for discounts on other attractions, shopping and more. 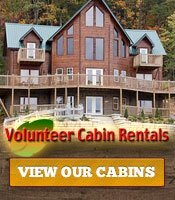 Check Smoky Mountain Vacation Info Attractions page for discount coupons to other attractions in the area.